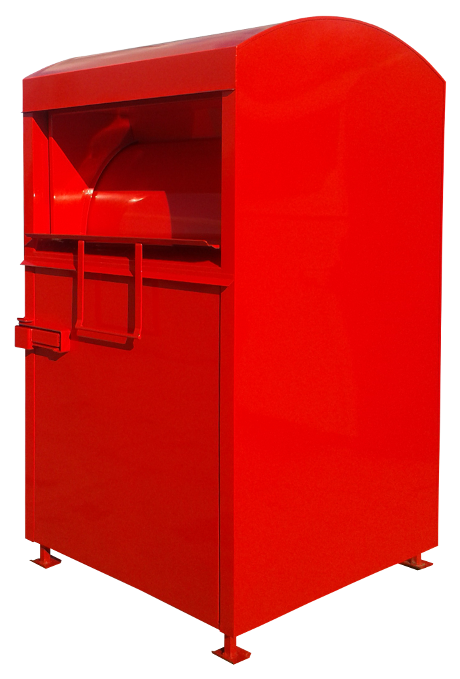 We have been producing steel bins and containers for many years. 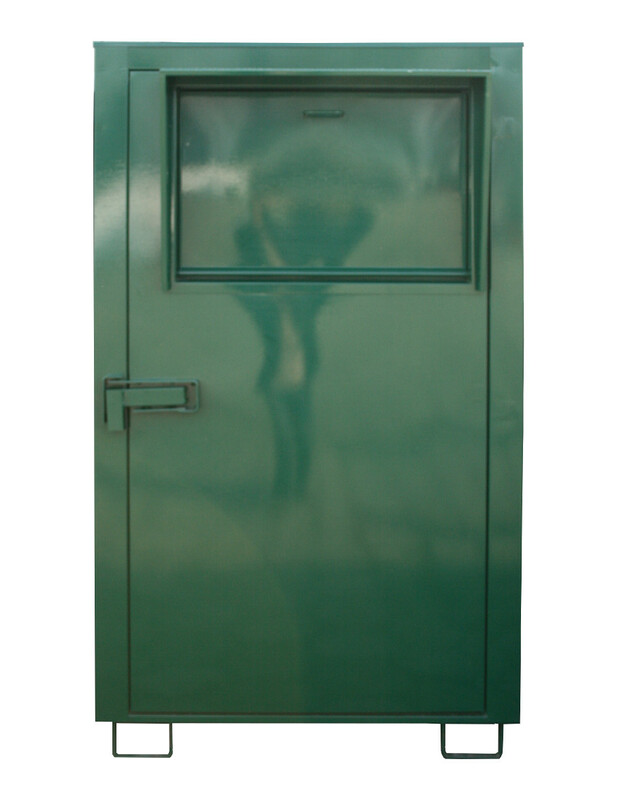 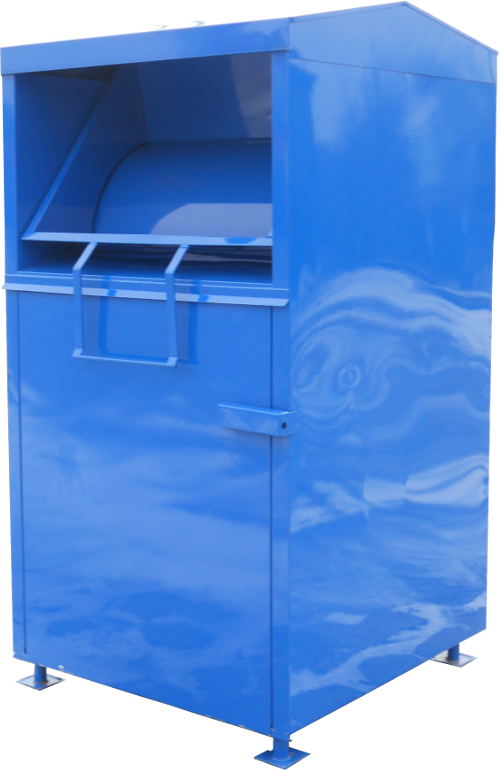 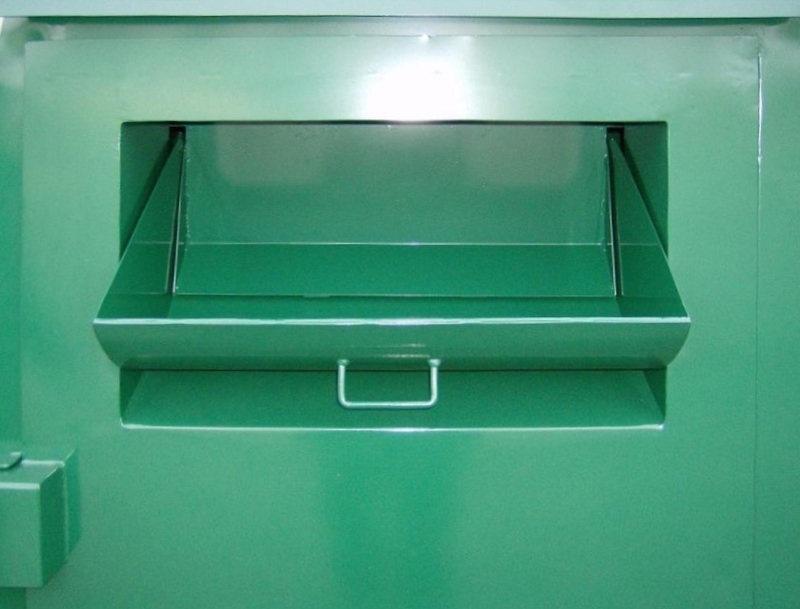 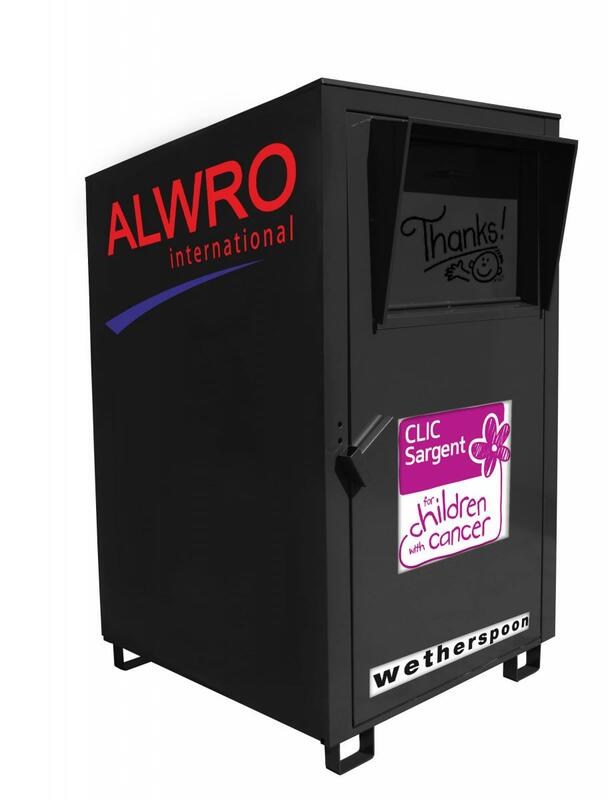 Our containers and bins are made from galvanized or cold-rolled sheet metal and then powder-coated in the desired color from the RAL classic colour chart. 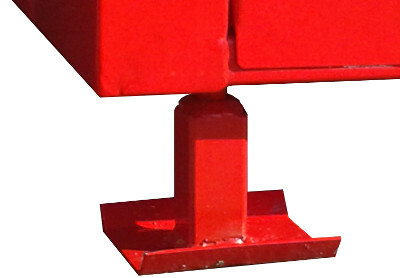 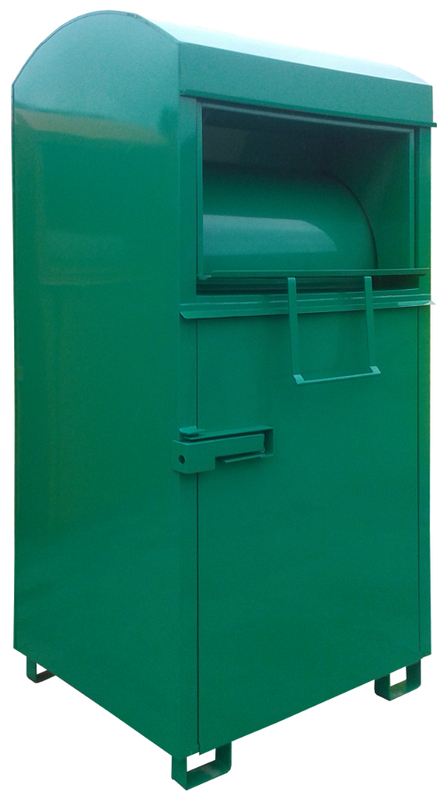 Such surface protection provides the containers with an increased resistance to corrosion and all weather conditions. 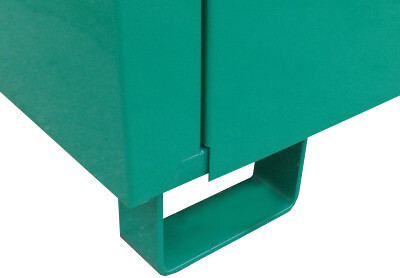 and it is not possible to open the door even if the hinges are cut. 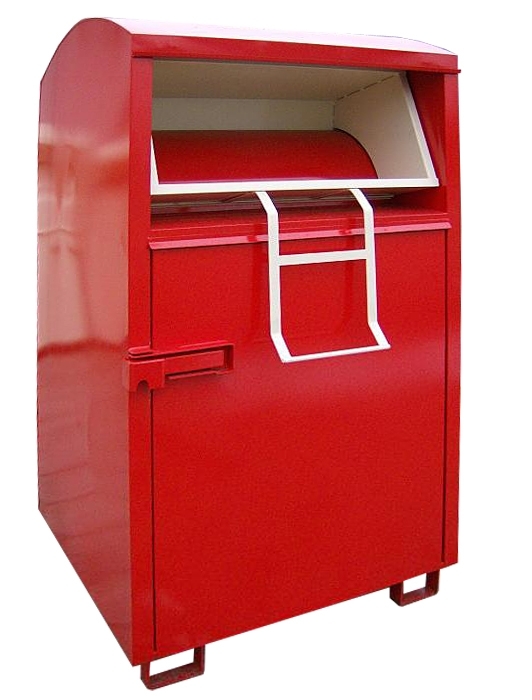 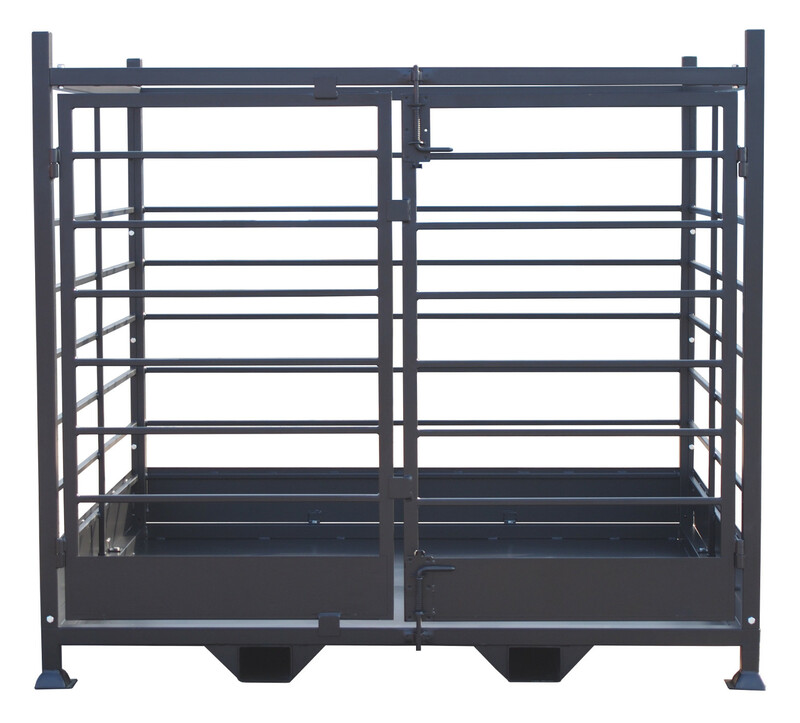 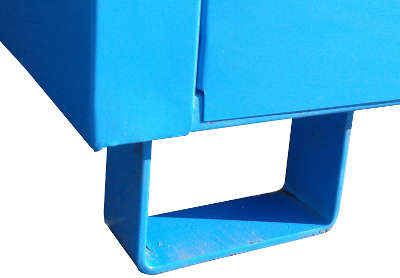 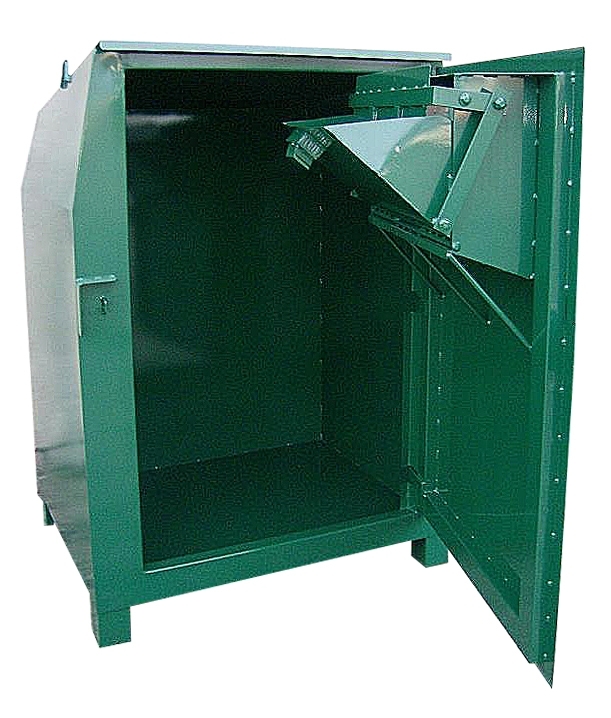 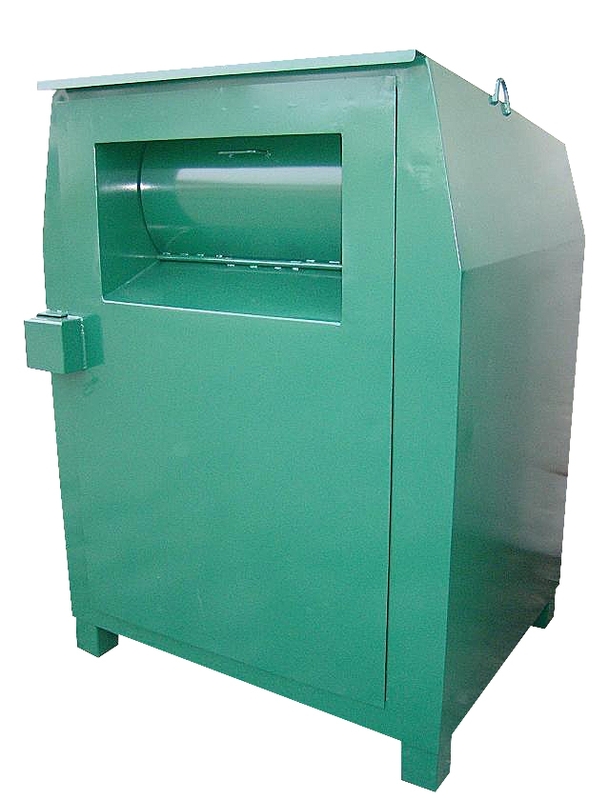 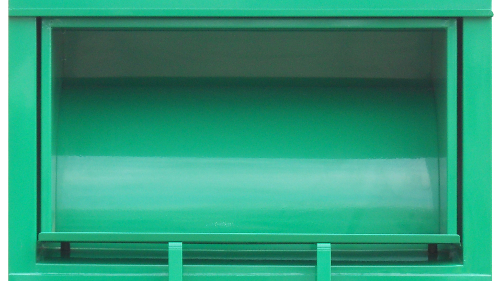 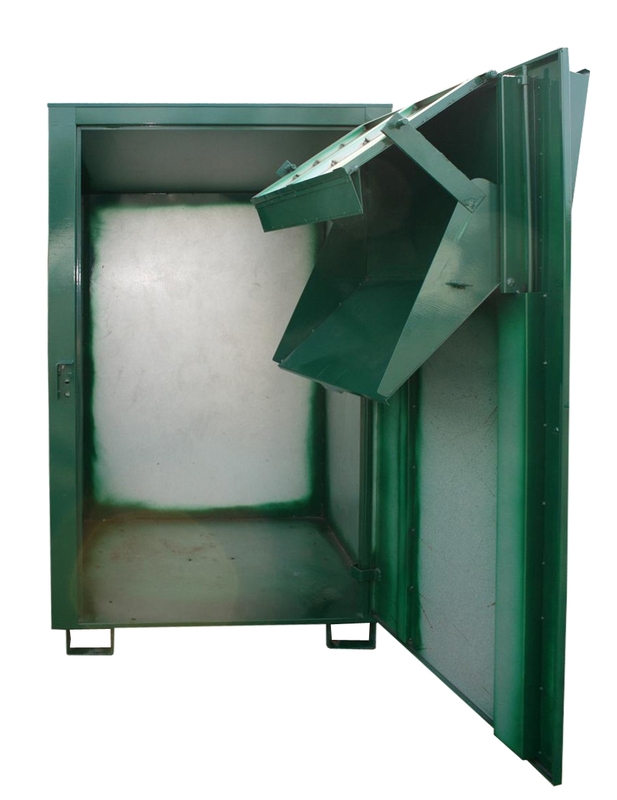 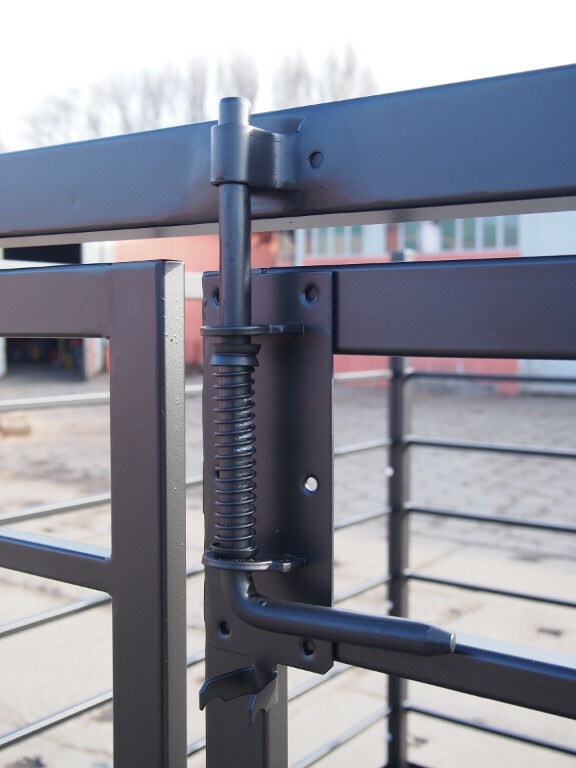 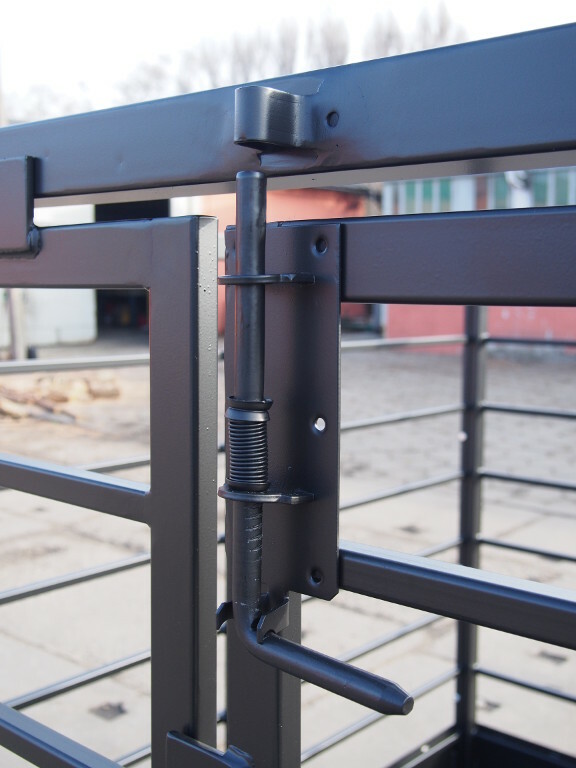 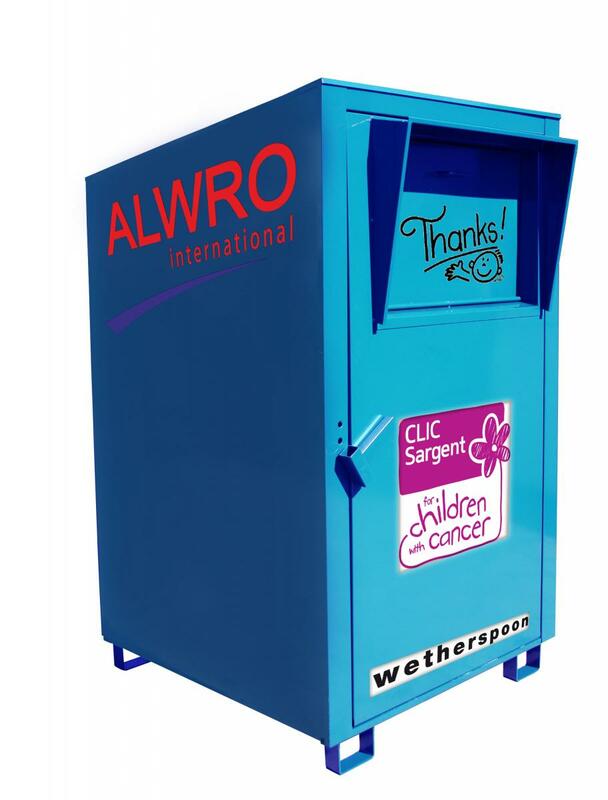 The reel slot mechanism prevents people from gaining access to the interior of the container. 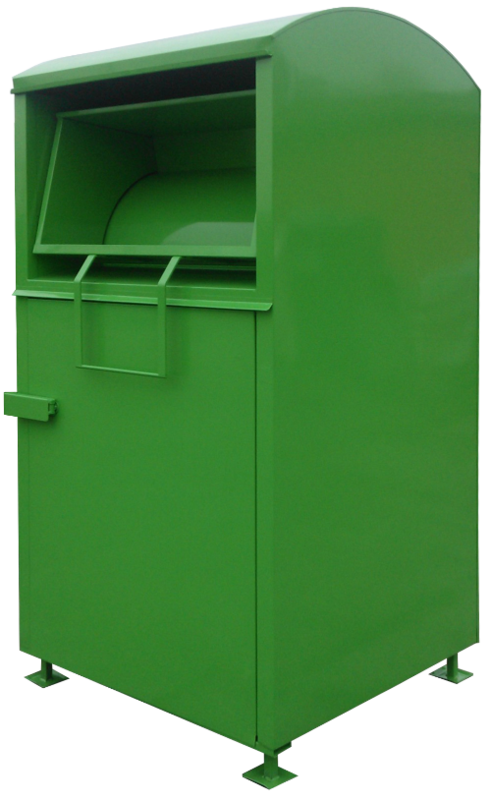 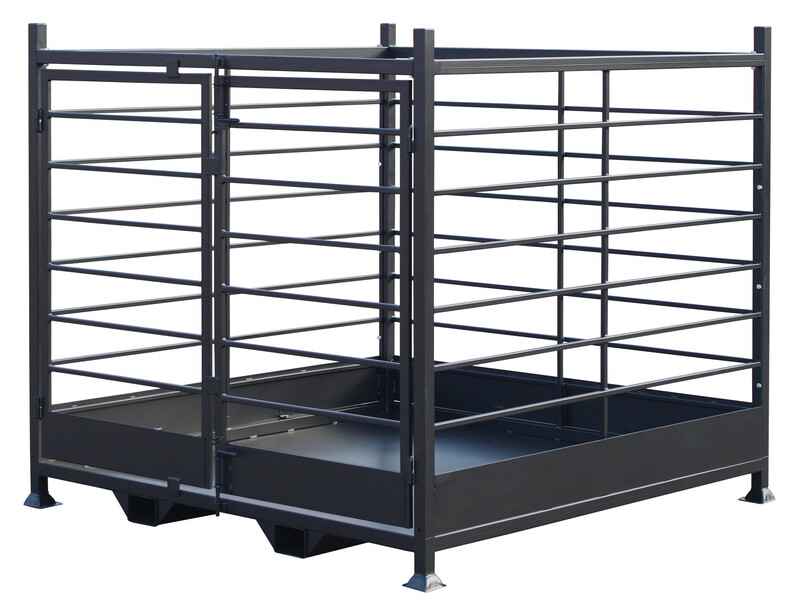 The construction of this container puts the safety requirements for the user and service staff first. 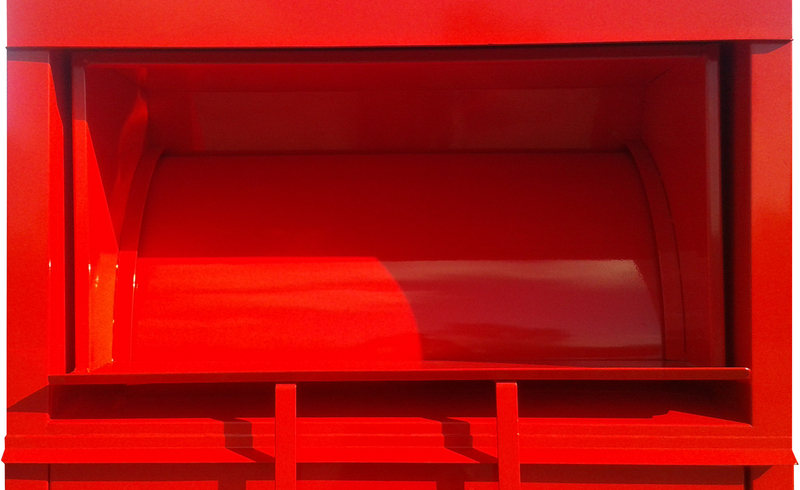 The whole front of the container functions as the unloading door, so that employees do not run the risk of injuring their spine and or bump their head while unloading the container. 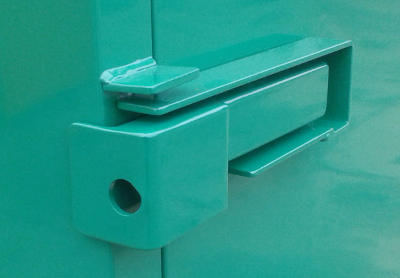 and it is impossible to open the door even if the hinges are cut. 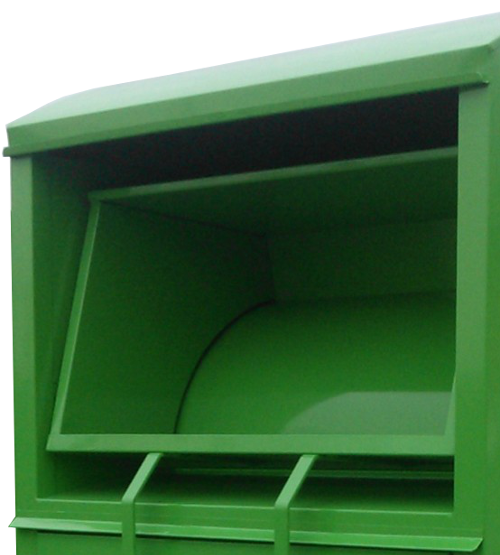 The construction of the containers can be modified according to your technical specifications. 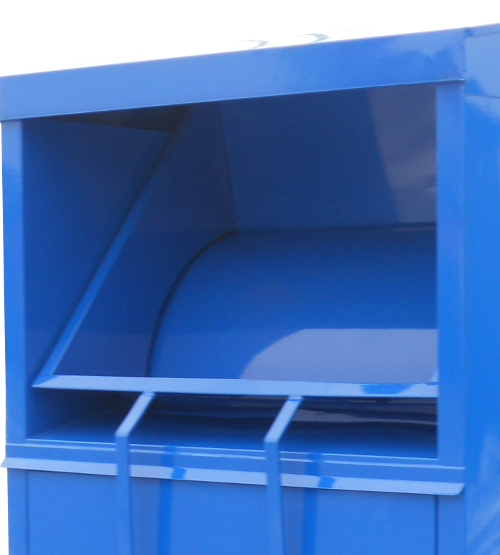 We also repair and rebuild old containers as a whole or only their slot mechanism. 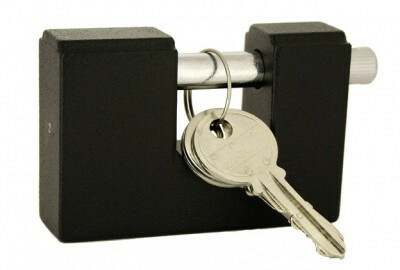 On request, we can equip the containers in the keyed-alike padlock. 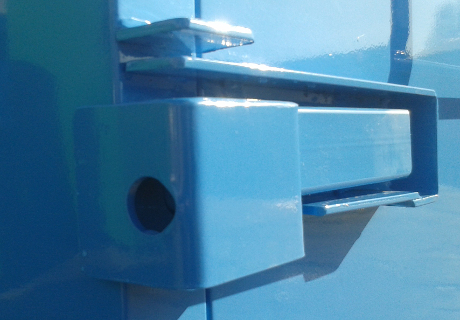 The padlocks we offer are made from high quality materials and provide solid protection of the contents of your containers.